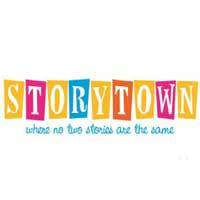 From superheroes to undersea adventures, princesses to dinosaurs, Storytown takes you on an interactive, fully improvised adventure. The actors use audience suggestions and ideas to create a different story every week. Kids design the setting and help shape the story. The actors, artists and musicians bring it to life. When the possibilities are endless, no two stories are ever the same.